Damage repairs Specialists repaired powder coated door holes in building site. 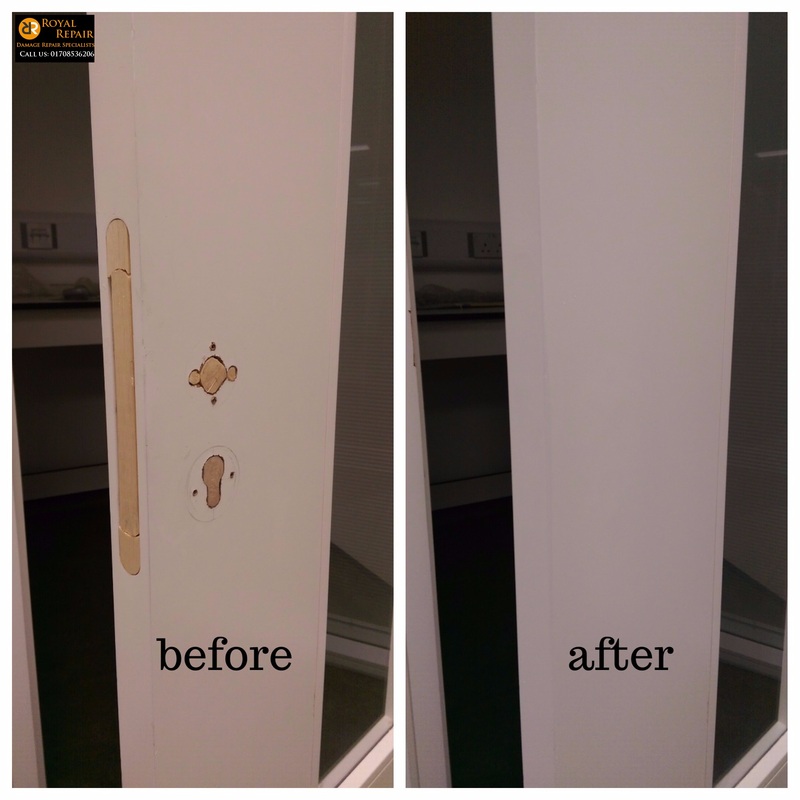 It would be impossible to find replacement for this door, because they are ordered to fit opening.We repair any door damages, like scratches, chips, dents, holes, burns. On site door repairs in Croydon, South London.